I’m snowed in and pondering the blustery vista seen from my window here in the Hudson Valley. It’s a muffled-silent day. I’m somewhat stranded by this impressive weather pattern, yet here I sit, traveling great distances within the expanse of the NYPL Digital Collections. I return to these collections as a bustling hub of creative space, where I truly love to roam — and cobble together digital assemblages based on the theme of (my) day. The image above is the result of a photoshop conversation I had a while back with my pal and graphic designer extraordinaire, Tom Smith. He and I have had a number of purely image-based conversations, unfolding from the passing back and forth of archival images we have both hoarded from a variety of collections. 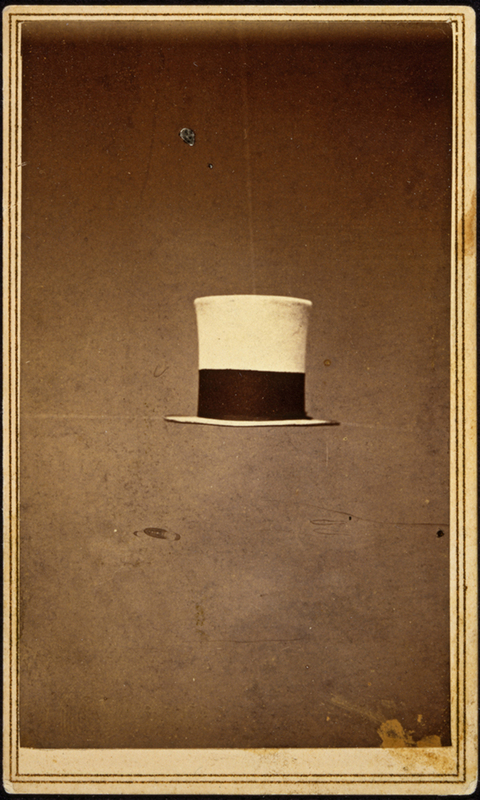 Actually, it all started with a hat. I sent it off to Tom, and then Lincoln immediately entered into the picture. The rest just fell into place. I love image-talking with Tom. 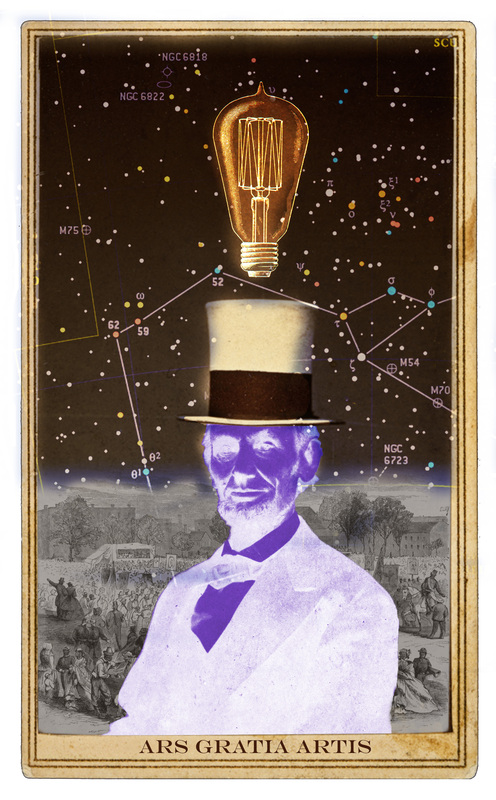 Now that New York Public Library‘s Pandora’s Box has creaked wide open, creative possibilities for collage lovers are truly limitless. So, I decided to stir the pot of pixels today in honor of my fellow archivist friends Yukie Ohta at the SoHo Memory Project and Sylvia Kollar at the NYC Municipal Archives. Today I’ve been searching for images in the NYPL collection based on SoHo street names, with a bit of a focus on manufacturing and retail history in that neighborhood steeped in creative abundance. 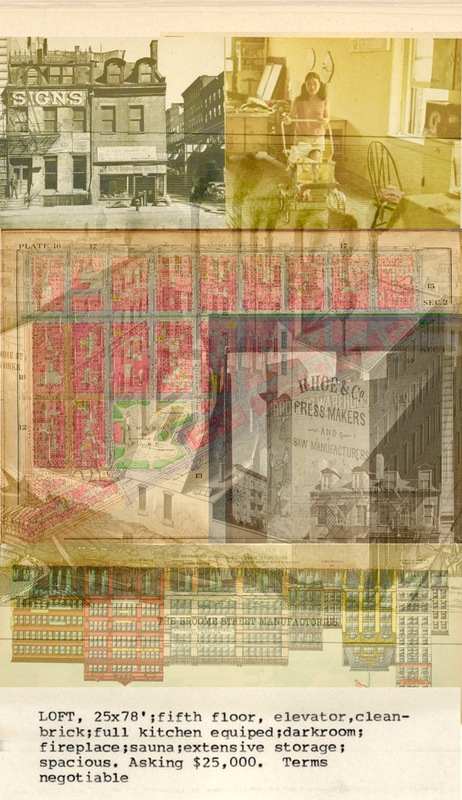 Here’s what came up for me, using images from collections at NYPL, the SoHo Memory Project and the Municipal Archives. 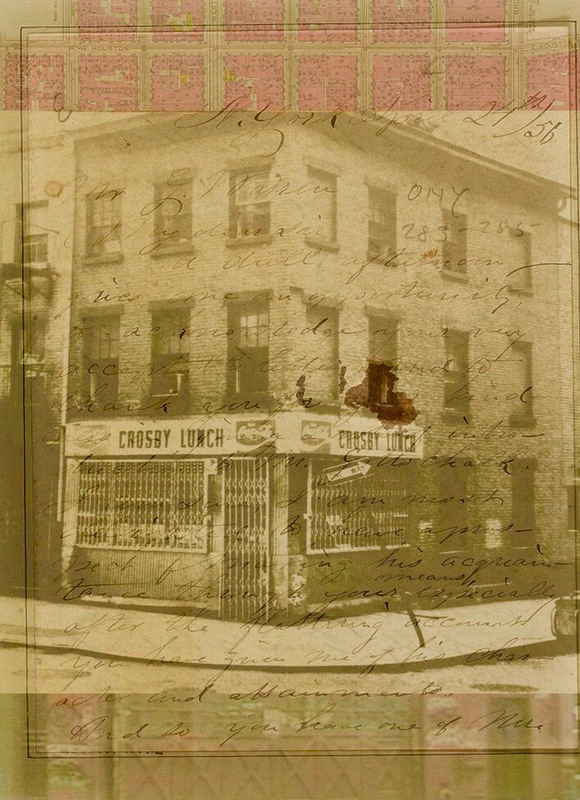 The collages made here have been inspired by a keyword search on “Crosby Street,” as well as “Broome Street.” Fun.